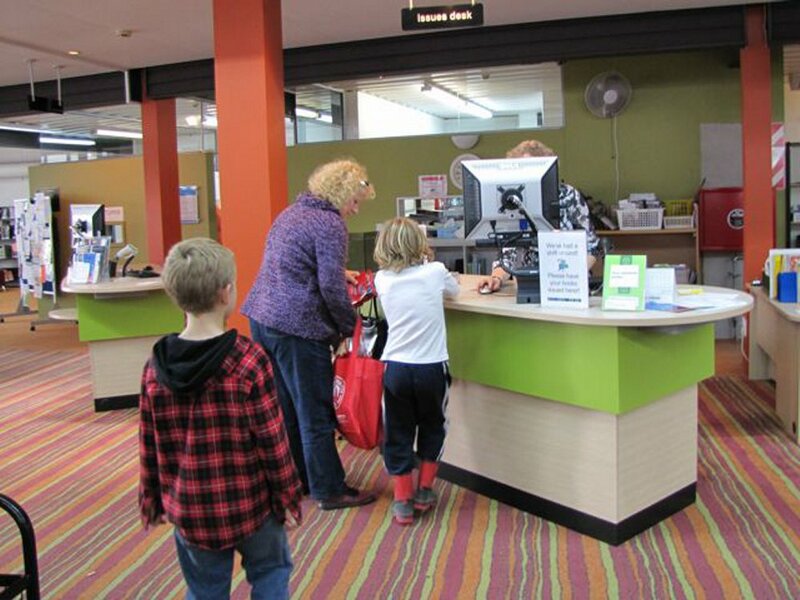 As part of a move towards ‘open library’ thinking, Orewa Library wished to replace its traditional and long serving circulation counter with furniture that would support a strong customer service orientation. 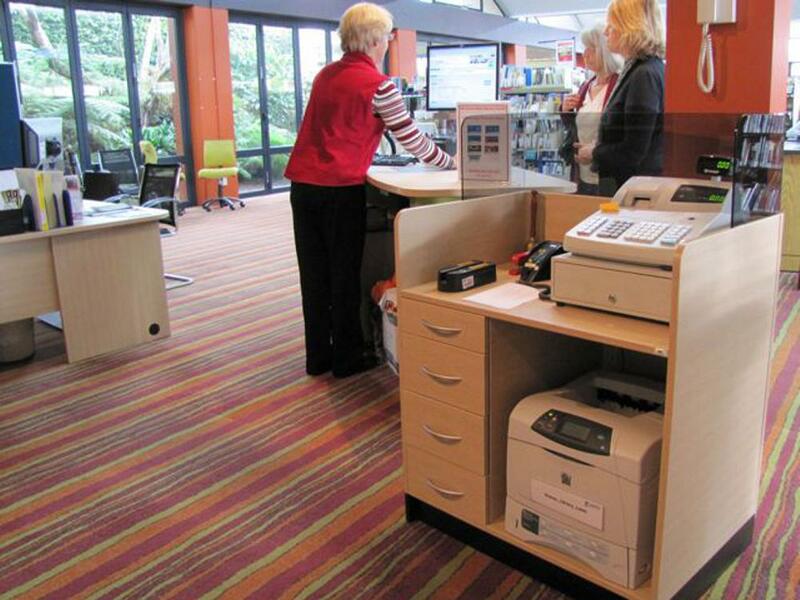 A concept was developed by Paul White, our Director of Design, which broke up the traditional ‘fortification’ providing individual modules including issues counters, cash module and help desk. 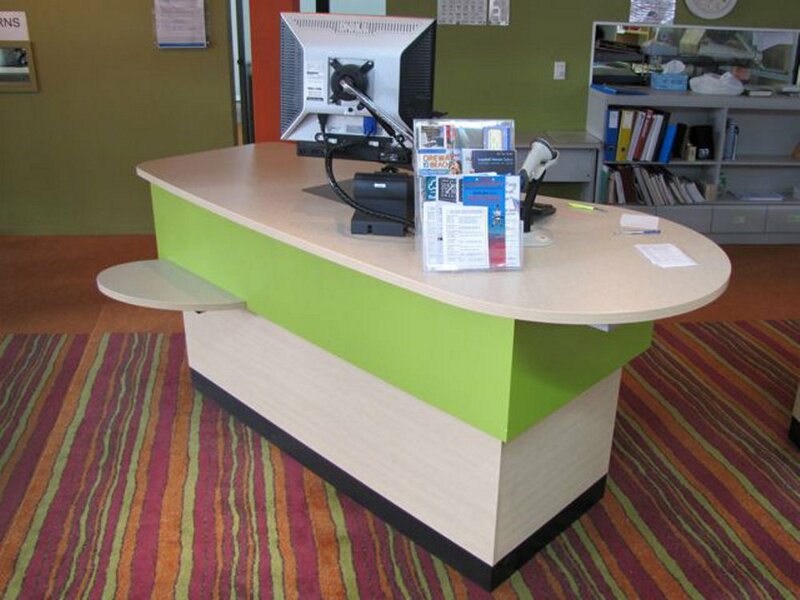 The resulting layout enabled staff to interact more readily with patrons by the counter orientations and access ways between. 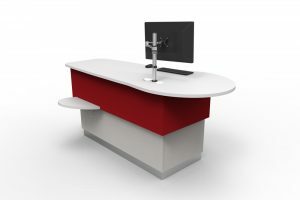 With health and safety for staff a high priority the two STEALTH counters provided optimum worktop ergonomics as well as push button seated to standing height adjustability. This feature also allowed the library to serve patrons with disabilities not just in a complying but also a more sensitive way. 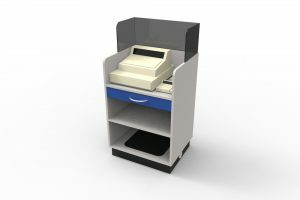 Support equipment including cash register and central printer were housed in a customised Bookflo CASH Mobile with toughened security glass cowling.